An excellent over-wintering variety to rival ‘Andromeda’ but with better downy mildew resistance (races 1 – 11, 13, 15 & 16). 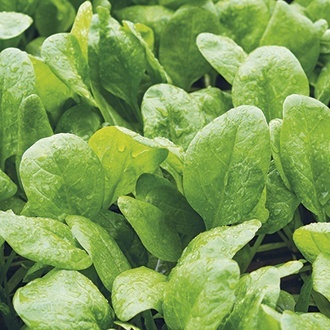 Smooth, round edged leaves can be harvested as baby leaves for salads or left to mature. Trombone F1 is bolt resistant and slow growing, so can be sown throughout the season for a continuous crop of tasty leaves. Protect early sowings from frost.